When it comes to looking after my hair, I haven't always treated it with the most care. From box dye jobs to bleached highlights, my hair has gone through quite a bit over the years. Most recently I've been suffering with post partum hair loss so I've really had to pay attention to what I'm using and take much better care of my locks. 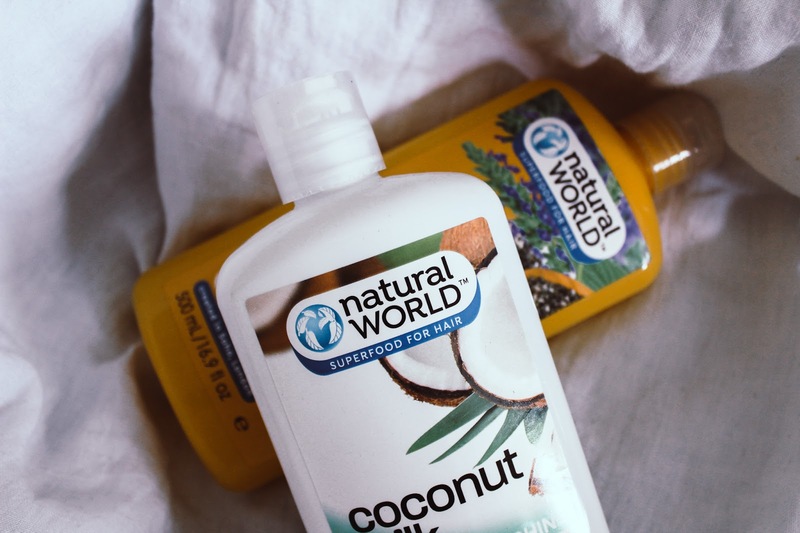 I started looking into more natural products to use within my routine last year and I've been slowly switching them over which is where Natural World come in. I first discovered Natural World just over three years ago and fell hard for their luxurious treatment oils. The oils come in 25ml tubes or full size bottles with a pump and you just soak them in your hair for an intensive treatment and super soft results. 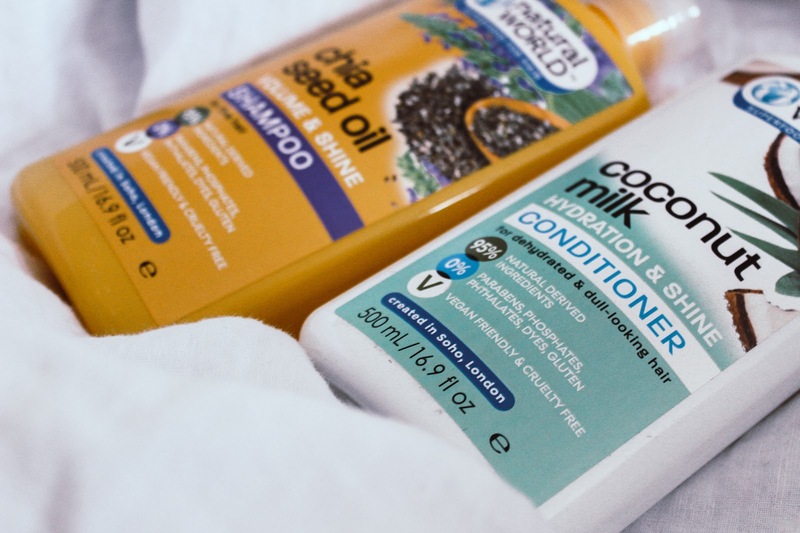 I've used the oils whenever I've needed them most but I've never tried Natural World's shampoo and conditioners so with two super bottles finding their way into my bathroom, it was time to share three reasons to go natural with your hair care. When buying products you don't always know exactly what are in them, especially when some words seem to have more letters than the alphabet. There are no hidden ingredients with natural products, just amazing scents and the best natural ingredients available to us as well as many boasting a handful of essential oils which do wonders for the hair and scalp. I've always suffered with a sensitive scalp and have to be very careful with what I use to stop my scalp from itching so chemical heavy products are my worst enemy. I love using more natural products because they sooth my skin while keeping my hair clean and soft. 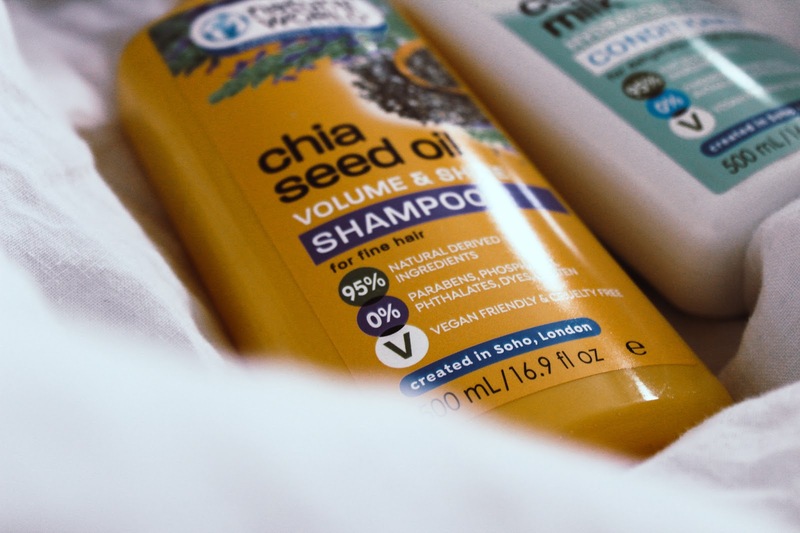 The Chia Seed Oil range is one of my favourites to use because it's lightweight and the hair volumising proteins don't irritate my skin. 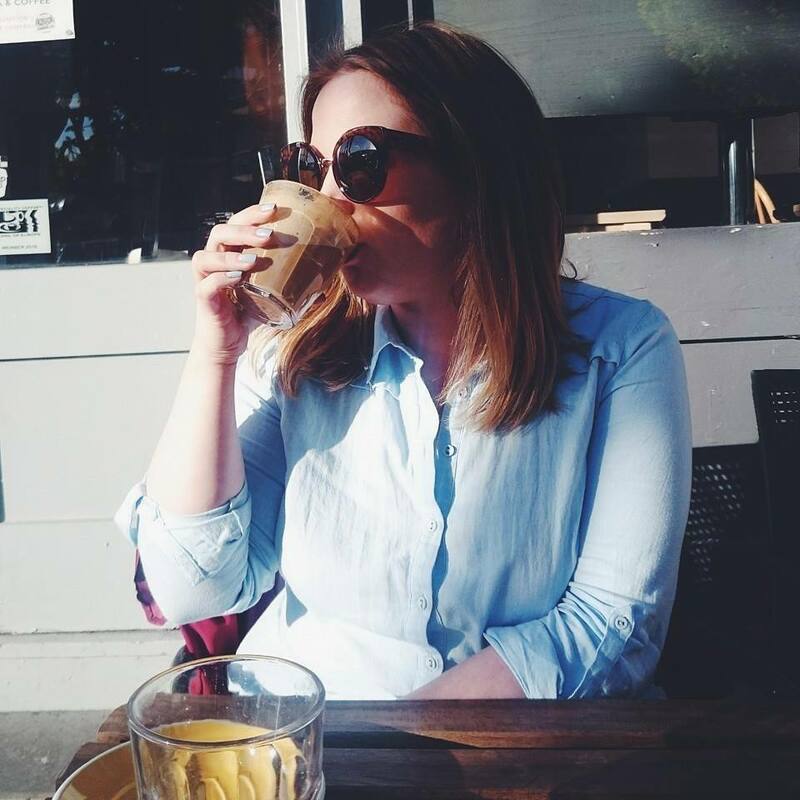 Being more mindful of the planet is a big thing at the moment and rightly so, we've been taking lots of little steps at home to be more environmentally friendly and my haircare is no different. Whatever we're using in the shower goes straight down our drains so if your products are full of chemicals, they're end up in the waterways. 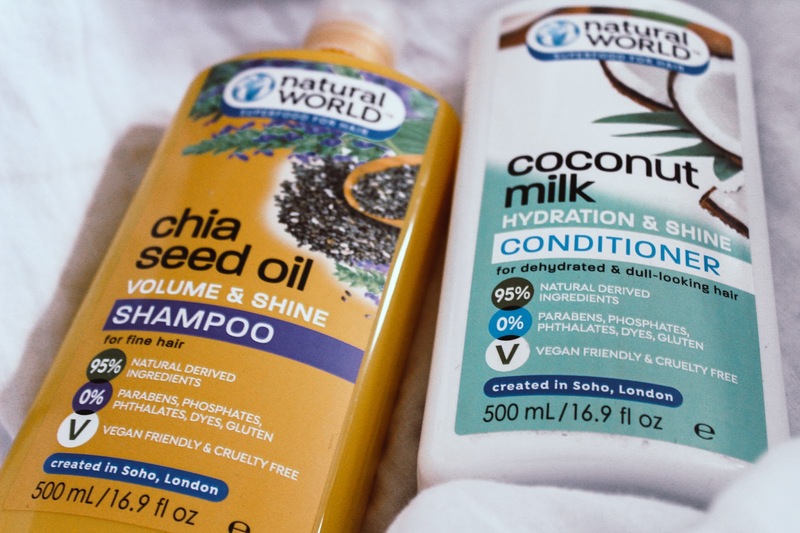 Natural World are vegan friendly, cruelty free as well as being free from lots of nasties so not only will your hair feel great, you'll be doing your bit for the planet too. 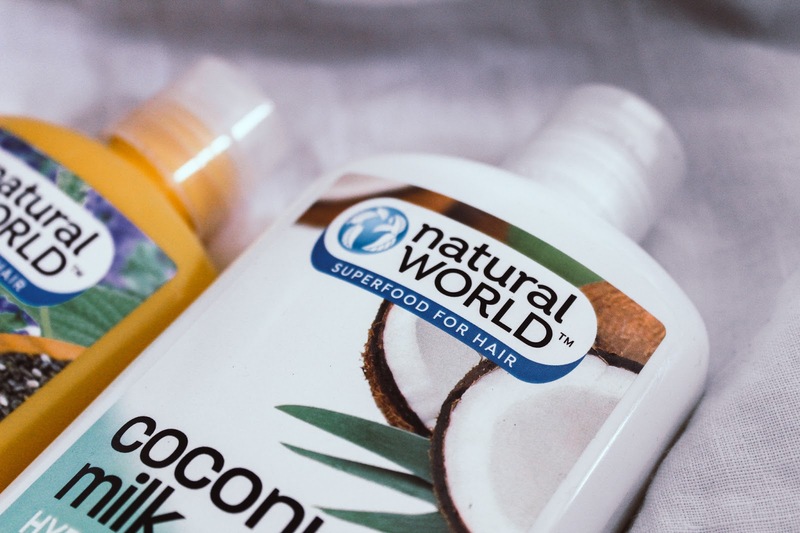 To discover your perfect haircare range from Natural World, you can take the quiz on their website to find out if you're coconut milk fan or more argan oil. The supersize bottles will have you wanting more and the results are enough to have you never look at another brand again! I've never heard of this brand before but I'm also in Canada, so that's probably why. But I do agree with you on natural hair care These products sound amazing and I wish we could get them here ! I'm pretty much all cruelty free and I've noticed a huge difference since swithcing all my products as well. I'm glad you enjoy the switch ! They sound amazing, I love the coconut water ones I’ve used. I haven't heard of this brand, but I definitely agree on it being safer for your skin! After a week of sun, salt water and sea breezes my hair is in need of some TLC and these products sound absolutely perfect for it. I actually love the chia seed oil. I tried some at a friends house and need to get myself some! I'm on the hunt for CF hair products, I'll definitely have to check these out! I love this range! I have been looking after my hair since bleaching it so these are a good for me.